I remember a time when one wanted to visit a casino and any accompanying eats, it would take an almost 3 hour flight to Vegas. Well, I guess the flight would be shorter out of Bellingham (BLI), but that would imply flying on Allegiant. Well, at least the fares are cheap! I digress... 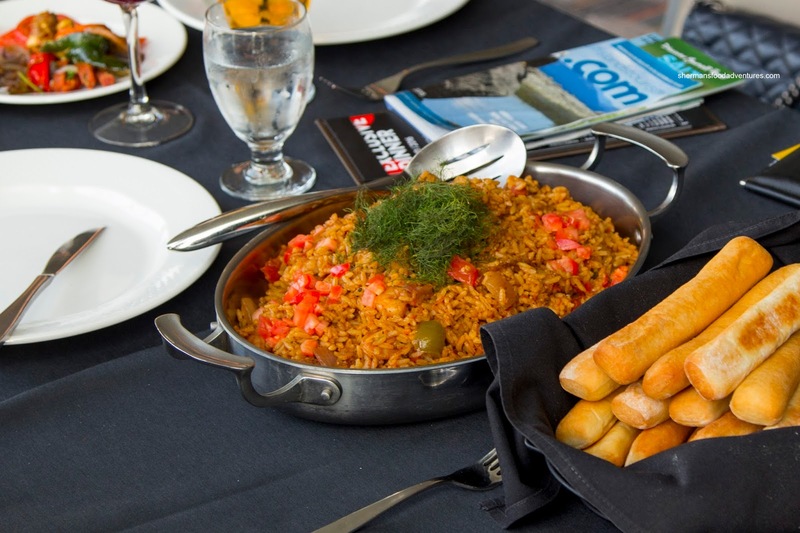 But fast forward to the present and we have an array of casinos that not only offer up hours of fun (costing you a pretty penny), there is food to be had as well. To be frank, the buffets up here are just not very good compared to anything South of the border. 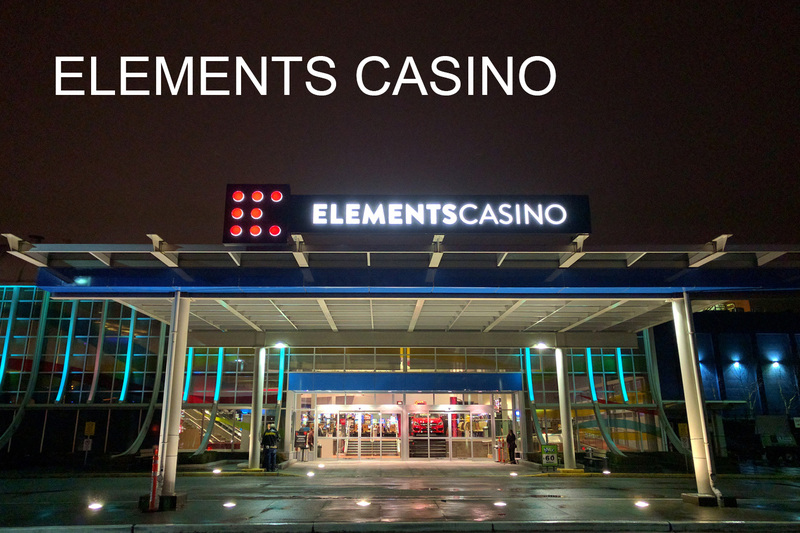 However, with an invite to Elements Casino to check out Escape Restaurant and their new direction, I guess I was going to find out if good eats could be had. They were out to impress with a 8-course family-style meal that was really an 12-course (some courses were doubled-up with 2 different dishes). 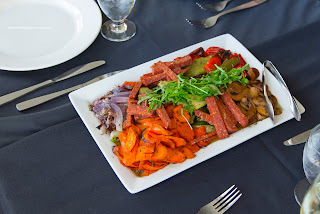 We started with the Antipasto Plate consisting of grilled veggies, salami and basil. Although a bit rustic in appearance, the salty thick-cut salami complimented the smoky veggies nicely (as they were rather bland on their own). I would've liked to see the zucchini cooked a bit less though. On the other hand, the accompanying Tomato & Bocconcini Salad was not lacking in the flavour department. 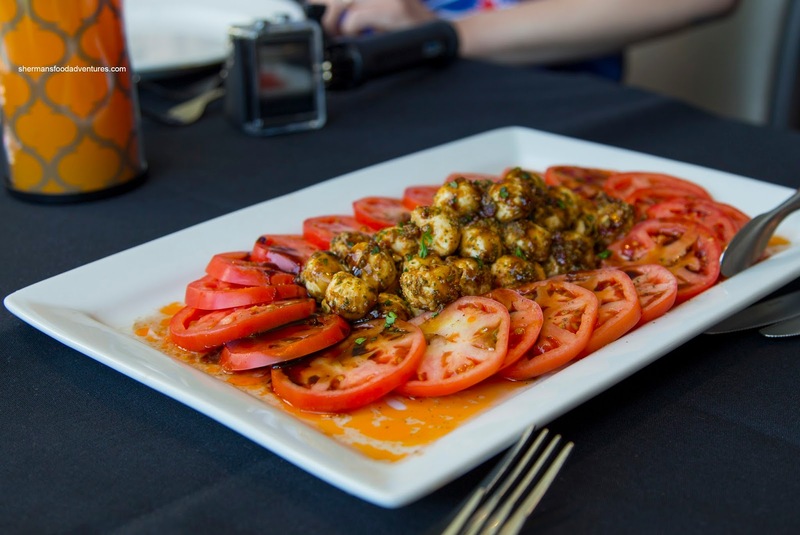 There was a considerable amount of balsamic dressing atop the ripe tomatoes and firm balls of bocconcini. A nice pop was provided by the sundried tomato pesto which elevated the dish. The next 2 dishes consisted of Pork Loin with grainy mustard apple sauce and Baby Back Pork Ribs with whiskey smoked BBQ sauce. 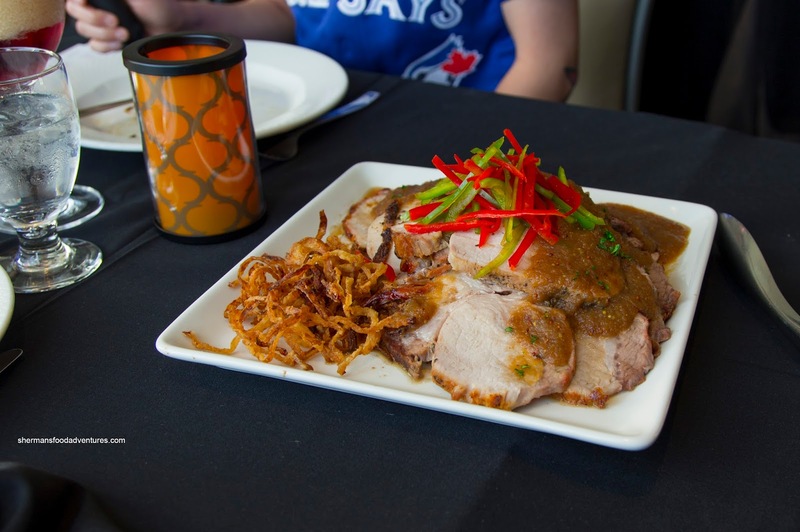 Depending on the slice of pork loin, it ranged from succulent and tender to dry and a bit chewy. For me, I got lucky and had the juicy piece which sported a nice roasted aroma (well-seasoned on its own). The grainy mustard apple sauce was slightly sweet, yet it lacked impact from the mustard. 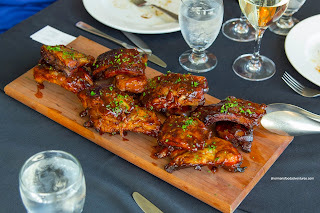 As for the baby back ribs, they were generally tender, but with dry spots. I did like that it wasn't overdone, so there was some meatiness left. I found the sauce to be sweet and somewhat smoky but lacking in whiskey. Moving away from meat, we dug into the Portuguese Paella with chorizo, shrimp, peppers, tomato and saffron. Although this dish didn't lack flavour per se, we could detect very little of the saffron. On the other hand, there was enough savoury elements including a mild spiciness and hits of tomato. There was enough chorizo and well-prepared shrimp that made each bite fairly flavourful. But the biggest issue other than the lack of saffron was the overcooked and soft rice. 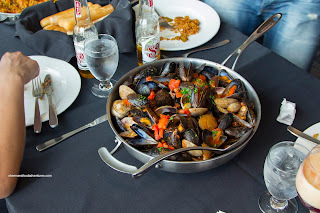 My favourite dish of the meal was the Clams & Mussels in a cioppino broth. Both shellfish were prepared just right where the meat was still buttery with a tender chewiness. Hence, the mussels and clams retained a natural sweetness and brininess. This was further enhanced by the spicy and tangy tomato broth which was not overly watery. The flavours were appealingly concentrated. Another solid dish was the Seared Salmon in bacon carbonara jus. 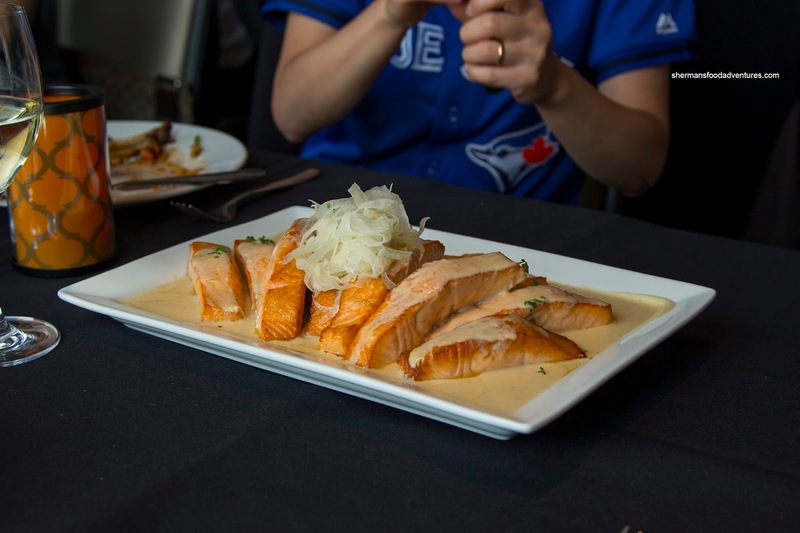 Although this looked really rich, the flaky and buttery on point salmon kept it in check. Now with that being said, the sauce was creamy and purposefully salty. A nice compliment to the beautifully prepared fish. As if this meal needed any more food, we moved onto 2 more meat dishes. 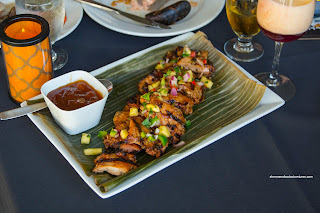 The first was Lemongrass Chicken with pineapple chutney. Well-charred and smoky, the "just barely cooked" chicken was succulent and juicy. It was well-seasoned and aromatic while the bits of pineapple added hits of tangy sweetness. 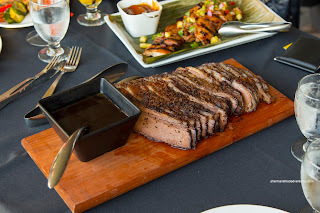 Another surprising offering was the Smoked Beef Brisket with natural jus. 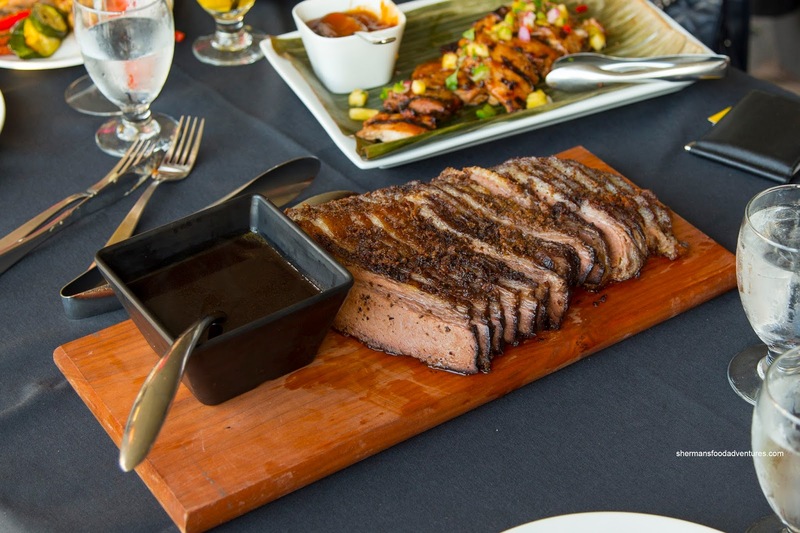 Presented on a wood board, we were treated to slices of juicy brisket. The smokiness was not very strong while the exterior rub was on the saltier side. Naturally, the point was more tender than the tip of the brisket. Okay, the 2 plates we had been waiting for were left to the end. 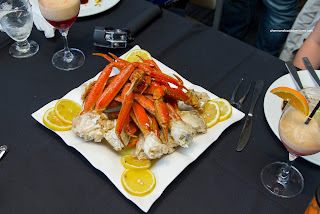 These included King Crab Legs steamed with garlic and Snow Crab Legs with butter. 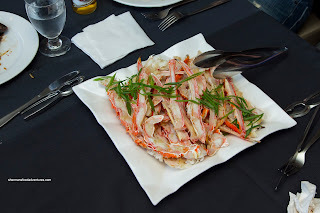 Since it wasn't king crab season, these were probably frozen and hence, the meat stuck to the shell a bit. Despite this, the meat was still fluffy and plenty garlicky. As for the snow crab, the meat was soft with a rebound while being naturally sweet. After this, we headed down to the buffet for some soft-serve ice cream (didn't take a picture since it wasn't that photogenic). From the items we sampled, most were pretty good and some were definitely surprising. 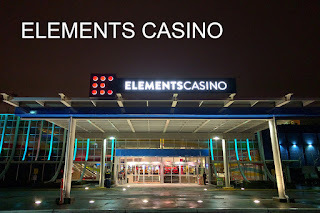 Sure, some improvements and further refinement could be had, but not bad for casino food.